The press cycle on Metal Gear Solid V: The Phantom Pain has been a bit different than past Metal Gear games. While we often see lots of cutscenes with the series, we've seen quite a bit more gameplay than cutscene – about 90 minutes worth across E3, Gamescom, and now TGS. In that way, it's almost refreshing (almost) to get a small peek into the story backing up the gameplay. In this trailer, we get more information about the sniper known as Quiet. No one seems to acknowledge how ridiculous and impractical her outfit is, but the soldiers sure are suspicious of her. While we're not experts in Japanese, this roughly sums up what goes on: Quiet lands on Big Boss' Mother Base and, as you would expect, people are a bit surprised. 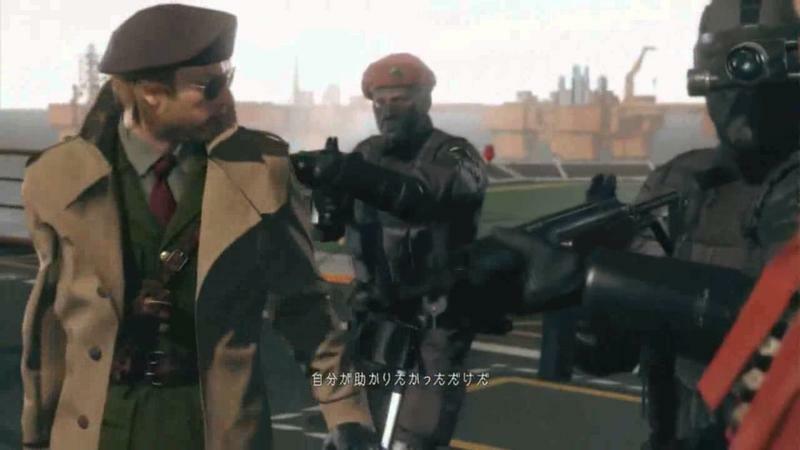 The guy in the beret, Master Miller, says that Quiet saved Boss. They say that she shouldn't be there, and Boss says, "She is now. Either we can trust her or we can't. When the time comes, I'll kill her myself." The two seem to have some kind of "keep your enemies closer" relationship, with rumors indicating that her combat effectiveness is influenced by "the degree of her bond with Snake." I'm still not sold on the character, but I can't wait for the game.